For a taste of Turkey’s Turquoise Coast, you’ll be enchanted by the luxurious yet laid back vibe of the Maçakizi hotel. This wonderfully chic boutique hotel offers a desirable 74 rooms and boasts a warm, avant-garde feel with its artistic, minimalist interiors and its splash of nautical features. 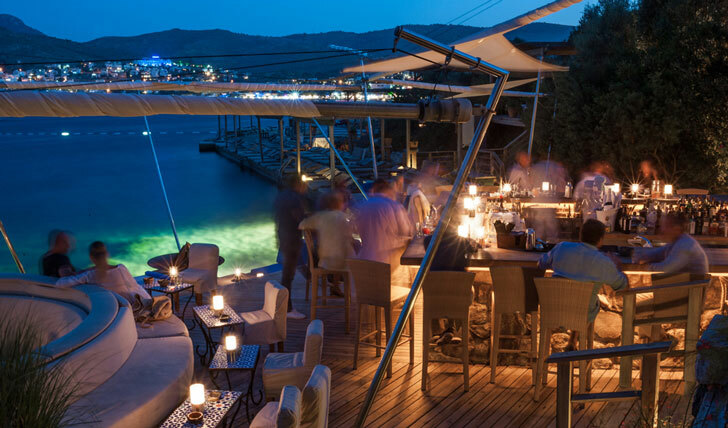 Set on the Bodrum peninsula, the hotel looks over the Aegean Sea, offering breath-taking views – it’s an idyllic and relaxed environment to unwind in. Here you can be as active or as relaxed as you like, and as night falls the Maçakizi hotel attracts the hippest crowds with its cutting-edge music scene and stylish bar. Only 40km from Milas Bodrum airport and under a three-hour transfer from both Izmir and Dalaman International airports, the Maçakizi Hotel is peacefully set just off the Keleş Hanım Cd trail in Türkbükü. The nearby island of Kos is easily accessible from Maçakizi should you wish to explore by sails. Stylish in calming, neutral tones, the 74 rooms and suites are outfitted with locally made furnishings, huge comfy beds, and offer luxurious rain showers with views out over the Aegean Sea. All boast private terraces, which are complemented by panoramas of the spectacular Türkbükü bay or the Maçakizi’s exquisite blossom gardens. 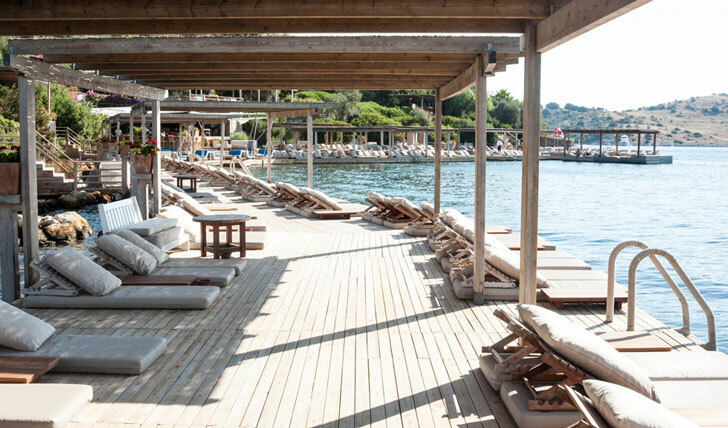 Unique to Macakizi is the wooden decking that juts out over the ocean, offering a relaxing space to sunbathe, recline under a canopy with a good book or dip into the cooling ocean. Be pampered at the Nuxe Spa, which is certain to impress with its outstanding, eclectic range of treatments where you can experience Ottoman tradition by relaxing Turkey-style in a Hammam bath. After a day basking on deck, spend your evening enjoying the finest combination of locally sourced Turkish and Mediterranean foods at the open air restaurant. We loved the freshly prepared grilled octopus and king crab gnocchi.